4.90 out of 5 based on 10 user ratings. We were in town for a wedding and the couple got a block of rooms at the Residence Inn. We booked a 2 bedroom suite with 2 full baths and couldn't have more happy with our experience. The suite was spacious and very clean, the staff was so professional and very attentive to the wedding party and guests and they offered a great complimentary breakfast. 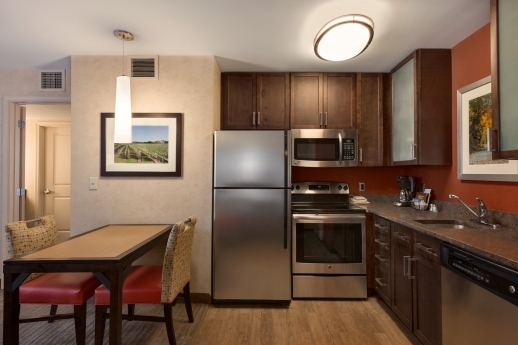 Though they don't offer a restaurant on-site, there are many local food options that will deliver to your room. 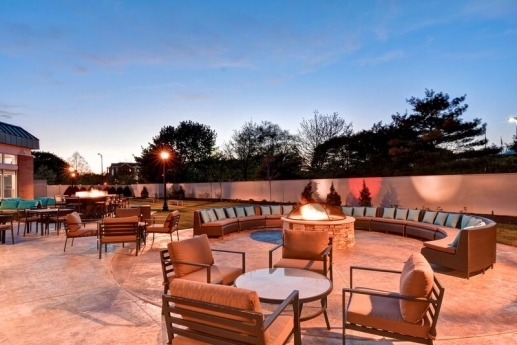 They also have a fire pit, grill and outside patio furniture, for their guests to enjoy. I would definitely stay there again! Very attractive landscaping greets you as you enter to check in to this newer hotel. We were on Long Island for a wedding, and stayed two nights here. 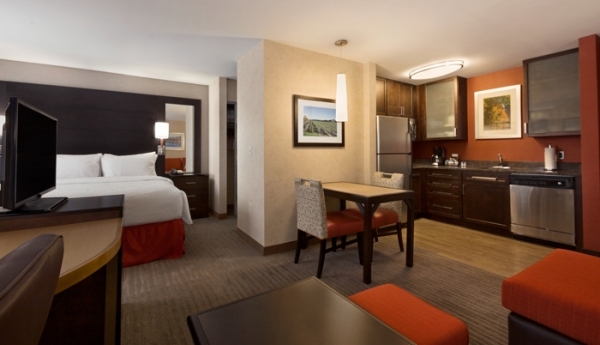 Newest Residence Inn design is very nice, and our one Bedroom was more than ample for the two of us. Breakfast was good, with ample room for all. Nice place had a couple of studios, and a 2 Bdrm suite. Place was nice, not a lot to do close by; however, the home of the Long Island Ducks independent baseball team are right behind the hotel. My grandson and granddaughter went over to catch a game and the fireworks after. Hotel was nice clean, a little pricey, but heh it's Long Island. Nice continental breakfast on weekends. Good weekend, ever in Long Island again I would stay there again. I had a studio suite equipped wth coffee maker, microwave and dish washer which also had dining table for four people. A desk for business, couch for lounging and beautiful king bed with nice linens. Hotel staff were wonderful and were able to give me an early checkin. Had a wedding in Oakdale and was very close to venue. This was a nice large room with a large kitchen and living room area. We came for a wedding and it was great to hang with extended family in our room after. Kitchen had a full size fridge with a small stove top and dishwasher. Bed was comfy. Let Residence Inn Islip take care of your wedding guests. We'll keep them comfortable with spacious suites, free hot breakfast, complimentary Wi-Fi, sport court, indoor swimming pool and 24-hour fitness center. From special group rates and easy, one-step booking to intuitive, friendly service, we do all we can to ensure your family and friends enjoy a relaxing stay during your special weekend. 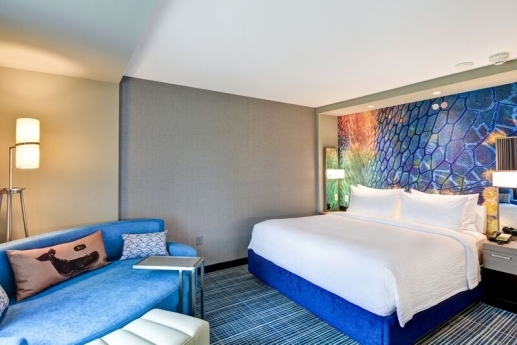 The NEW Residence Inn Long Island Islip, is conveniently located Long Island Vineyards, Beaches and Museums and is ideally located off Southern State Parkway and minutes from the Long Island MacArthur Airport (ISP). 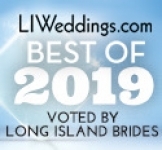 The Residence Inn Long Island Islip offers ideal accommodations for your wedding guests. 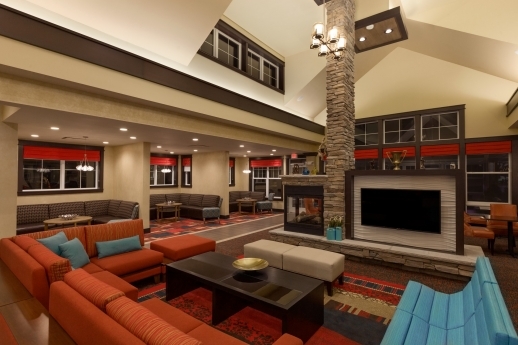 From the staff and the suites with fully equipped kitchens, to the complimentary breakfast, complimentary wi-fi, health club, and indoor pool; the Residence Inn Islip Courthouse Complex wants you to thrive while you are away from home! Tell us about the Residence Long Island-Islip/Courthouse Complex and the accommodations that are offered. How is it unique among other hotels and lodges? It is a long term stay, all-suite hotel, that offers deeper discounts for extended lengths of stay for wedding blocks that have multiple nights or folks from out of state/country. The hotel offers a full, buffet breakfast with extra added treats to cap off your perfect wedding weekend. How far in advance should a couple look into reserving a block of rooms at the hotel? 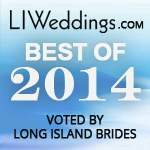 What makes the Residence Long Island-Islip/Courthouse Complex ideal for wedding accommodations? We are well-situated to highways for easy access, we sit in the center of Long Island and are in close proximity to many south shore catering venues. What is the hotel’s goal for every customer staying at your location? To enjoy the comforts of home away from home and keep their stride going while here on property. 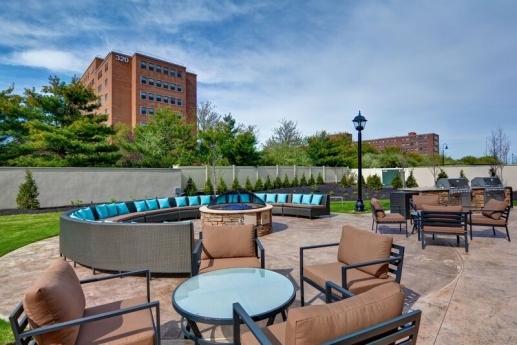 From the staff and the suites with fully equipped kitchens, to the complimentary breakfast, complimentary wi-fi, health club, and indoor pool; the Residence Inn Islip Courthouse Complex wants you to thrive while you are away from home!